Is this what happen when you do not feed your pets? They behave badly. 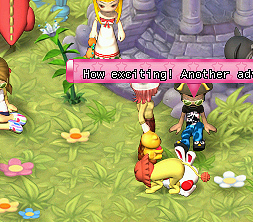 I was sitting around Sanrio Harbor when a Fireon decided to give my poor bunny a face full or tried to sit on him. To bad Sanrio does not allow pet battles. My Punch Bunny would give the Firon a lesson in manors.